A big thank you to my publisher Stephen Matthews, Ginninderra Press for a wonderful afternoon of celebration last Saturday at Collected Works Bookshop in the historic Nicholas Building, Melbourne. Ginninderra Press celebrated 21 years of independent publishing and Stephen Matthews launched my second book, ‘The Crystal Ballroom’. That’s him looking on as I read the first couple of pages of the story. The room was jam-packed full of people. Hopefully, the audience were enthralled and wanted to read the rest of my book. Other Ginninderra Press writers from all over Australia attended the event and many read a poem or a story including my new friend, the award-winning Melissa Bruce. We all enjoyed ourselves drinking wine and eating cheese and other tasty bits and telling each other about our work. Three weeks till launch of my second novel ‘The Crystal Ballroom’, a novel-in-stories. So what is a novel-in-stories? One famous example is Elizabeth Strout’s Pullitzer Prize-winning ‘Olive Kitteridge’. A novel-in-stories, or connected short stories that together become more than the sum of their parts, is also known as a short story cycle. ‘The Crystal Ballroom’ is connected by place and by a first person narrator and her friend who exchange stories about the characters they meet at the singles dances as they search for a regular dance partner. The book will be launched by Stephen Matthews on 1 July in downtown Melbourne at Collected Works Bookshop at an afternoon of launches and book reading to celebrate Ginninderra Press’s 21 years of independent publishing. Counting down. Can hardly wait. Save the date! Help me celebrate the launch of my new book on Saturday 1 July. My second novel The Crystal Ballroom – stories of love and loss in the singles dance scene – will be launched by Stephen Matthews at Collected Works Bookshop, Level 1, Nicholas Building, 37 Swanston Street, Melbourne at an afternoon of book launches and readings to celebrate award-winning Ginninderra Press’s 21 years of independent publishing. My second novel, The Crystal Ballroom is released today! If you’re in Australia you can order a copy from your favourite bricks and mortar bookseller or directly from Ginninderra Press. Print and ebook editions are also available from Amazon, Book Depository and other online booksellers. ‘Libby Sommer lays bare the foibles of human nature in her finely observed stories of love and loss in the singles dance scene. Brilliantly drawn with wit, compassion and poignancy, the characters you meet in The Crystal Ballroom are sure to remind you of someone—maybe even yourself.’ – Jan Cornall, Writer’s Journey. ‘Libby Sommer exposes the secret lives of the singles who dance at The Crystal Ballroom. Authentic and powerful, this unique book will be loved by the dancers and readers.’ Frida Kotlyar, ballroom, Latin and Argentine tango dancer. ‘Libby Sommer’s fiction has wit but is essentially serious with a subtle but strong underlying pathos, a wry humour and accomplished satirical tone.’ – Amanda Lohrey, Australian writer, and novelist. Patrick White Award winner. ‘Sommer’s existentialism is one of the best and most articulate voices of middle age angst ever.’ –Richard English, novelist and Visiting Lecturer, Brunel University London. The book will be launched at Collected Works Bookshop in Melbourne on 1 July. Details to follow. If you’re free, come along. I hope you enjoy reading The Crystal Ballroom: stories of love and loss in the singles dance scene. 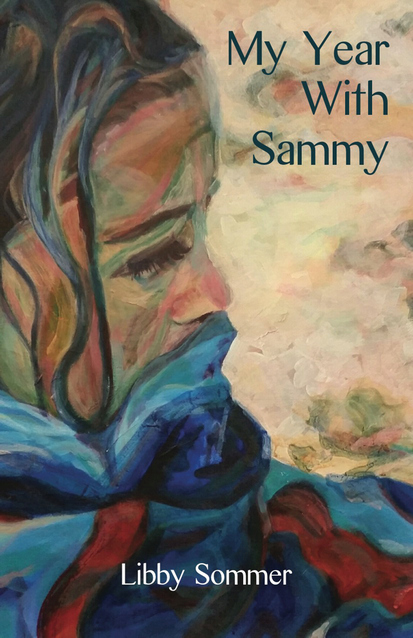 I’m very excited that My Year With Sammy and The Crystal Ballroom are out there in the public arena – thrilled that my work has finally made it out into the world after all these years.